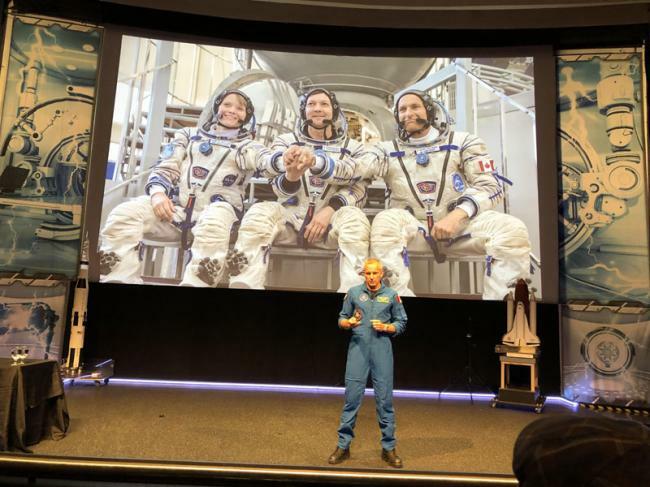 Toronto, July 24 (IBNS): Astronaut David Saint-Jacques from Canadian Space Agency expects to work on application of isolated medicine in space where human bodies are in a fragile state and are relatively more susceptible to diseases. He was speaking at a programme at the Ontario Science Centre, Toronto, recently. He also shared with the guests his childhood dreams and how he prepared himself to propel himself on the right path. In order to be prepared to face any challenging situation that may arise suddenly in space, they receive training to be alert and well prepared so that there is no scope of making any errors, said Saint-Jacques . He also pointed out that the atmosphere of microgravity prevailing in the space results in bone loss and weakening of the muscles. 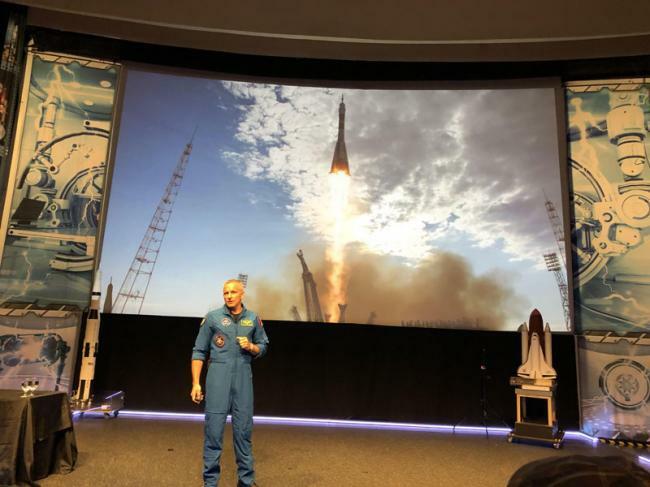 Hence once the astronauts are back from the space station, they undergo post-flight reconditioning to build bone and mass and gain muscle strength, he said. A father of three, Saint-Jacques said he is scheduled to leave for the space station in December of 2018 and stay aboard the ISS for six and a half months, conducting experiments, operating the Canadarm2 and test new technologies. 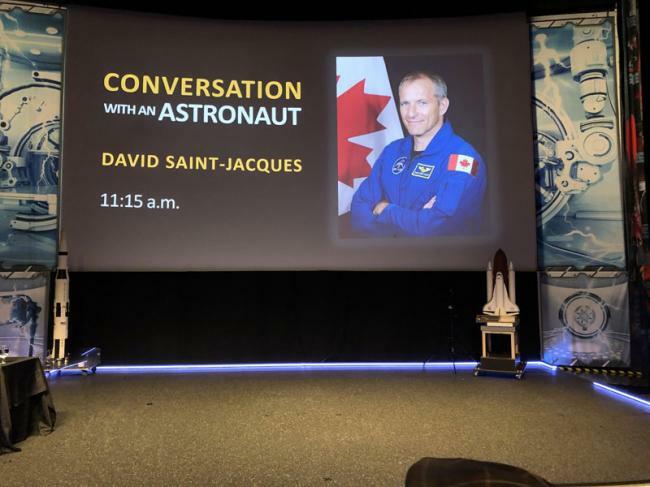 He said he will be sharing his experience with Canadians and inspire young people to be interested in science, technology, engineering and mathematics (STEM). During his six months on board in the ISS, Saint-Jacques said that he would see 5,000 sunrises and sunsets. After the closing of Saint-Jacques presentation, Bitran, in his concluding remarks, said that Ontario Science Centre has a strong collaboration with Canadian Space Agency. Saint-Jacques spoke exclusively to IBNS on the sidelines of the programme. Replying to a question on what motivated him to become an astronaut, Saint-Jacques said that ever since his childhood he was eager to explore space but did not think it would be possible for him. After studying physics and astrophysics, he believed he acquired sufficient knowledge of mass and how things move. His study of medicine further equipped him with knowledge of human bodies and how they worked and he felt prepared to carry out his childhood dream of exploring space. When asked about which scientific experiments would he be performing in the space and that if training was being imparted on this, he replied his training in physics and astrophysics has already prepared him about the working of universe. His medicine studies, his work as a family physician have given him additional advantage. He has been receiving training to perform medical science experiments in space to improve the lives of people who go on long spac journeys. Replying to what he wishes to accomplish during his expedition to space, Saint-Jacques said that his main aim was to study how to improve the life of people who go on space missions, to use isolated medicine in space where human bodies are very fragile and are easily susceptible to diseases. In his concluding remark, Dr Maurice Bitran, Chief Executive Officer and Chief Scientific Officer of Ontario Science Centre said that the Centre works in collaboration with Canadian Space Agency and they also looked forward to hearing about after Saint-Jacques' experience after his return.